Mario* had a long history of mental illness prior to landing in immigration custody. He struggled with schizophrenia, and had attempted suicide in the past. Despite his long history of mental illness, however, none of the various immigration officials who came into contact with him—including deportation officers, medical staff or even the immigration judge—ever thought to assess Mario’s mental health to determine whether he was competent to represent himself in his immigration case. Instead, all he got was a notation in his file that he should be transferred to a more appropriate facility for evaluation and treatment—a notation that the immigration judge in his case never even saw. The judge had no idea that Mario suffered from a serious mental illness that could affect his ability to represent himself. Mario therefore appeared for hearing after hearing, alone. He was apparently supposed to represent himself, despite his clear inability to do so. It was not until several months later, when another detainee at the facility contacted me at the ACLU, that things changed for Mario. He called because, as he explained, Mario was “clearly not well” and had been going to court unrepresented. “He needs help,” his friend pleaded. I wrote a letter to the immigration judge, informing him that Mario suffered from a serious mental disorder. As a result, the judge, now aware of his mental health history, conducted a hearing, found that Mario was not competent to represent himself. He was later provided with an attorney under Franco-Gonzalez v. Holder. Thanks to the historic April 23, 2013 ruling from the federal court in Franco, Mario now has an attorney to help him fight his case in immigration court. But had it not been for that call from a friend, or that letter from the ACLU, Mario would have been lost in the immigration system, likely already deported back to his home country. As Mario’s case shows only too well, immigration authorities had no system in place for identifying individuals with serious mental disabilities or for communicating that highly relevant information to the immigration courts. Even when the information made it to the immigration courts, judges had no clear guidance on what to do to determine whether someone was competent to represent themselves. Immigration judges were not even able to ask for a forensic evaluation in a case if they found that they needed more information to determine whether someone was competent enough to proceed alone. The court in Franco-Gonzalez has issued yet another historic order in the case, this time establishing a comprehensive screening and competency determination system in the immigration detention centers and courts throughout Washington, California and Arizona. The system will require all detainees to be immediately screened for mental disorders upon their arrival at the detention center, and referred for a further assessment should that initial screening or other information reveal that the individual may have a serious mental disorder or condition. Immigration authorities are now required to share that information with immigration judges, who will then hold structured competency hearings, with the aid of forensic evaluations, to determine detainees’ competency. The order provides clear guidance to judges, including what standard to apply when determining whether someone is competent to represent him- or herself in immigration proceedings, thus establishing the first federal pro se competency standard. 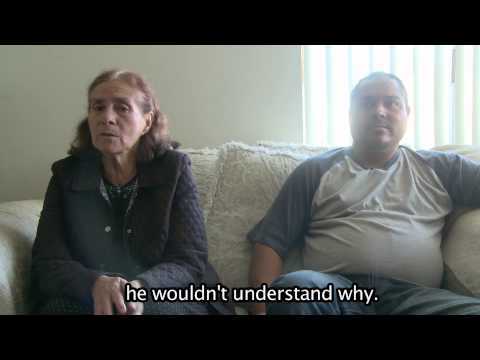 The fight for individuals like Mario is far from over. The judge has given the government ninety days to comply with the order and completely revamp the system that failed Mario the first time around. The ACLU will continue to fight to ensure that the government complies with the order, to push the government to apply those same procedures nationwide, and to make sure that all individuals like Mario are properly screened and assessed before being forced to stand in court alone. Carmen Iguina is staff attorney at the ACLU of Southern California. Follow ACLU SoCal on Twitter.